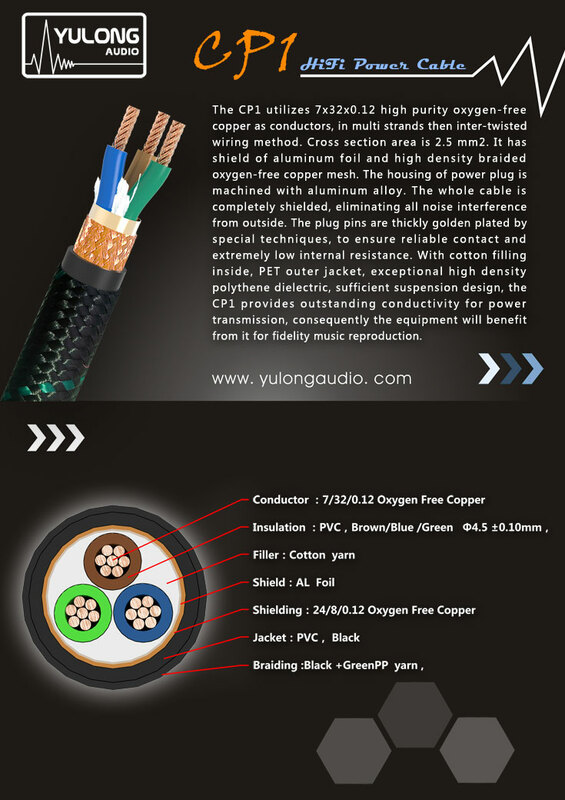 CP1 power cable - Shenzhen Yu Long Yun Electronics Co., Ltd. 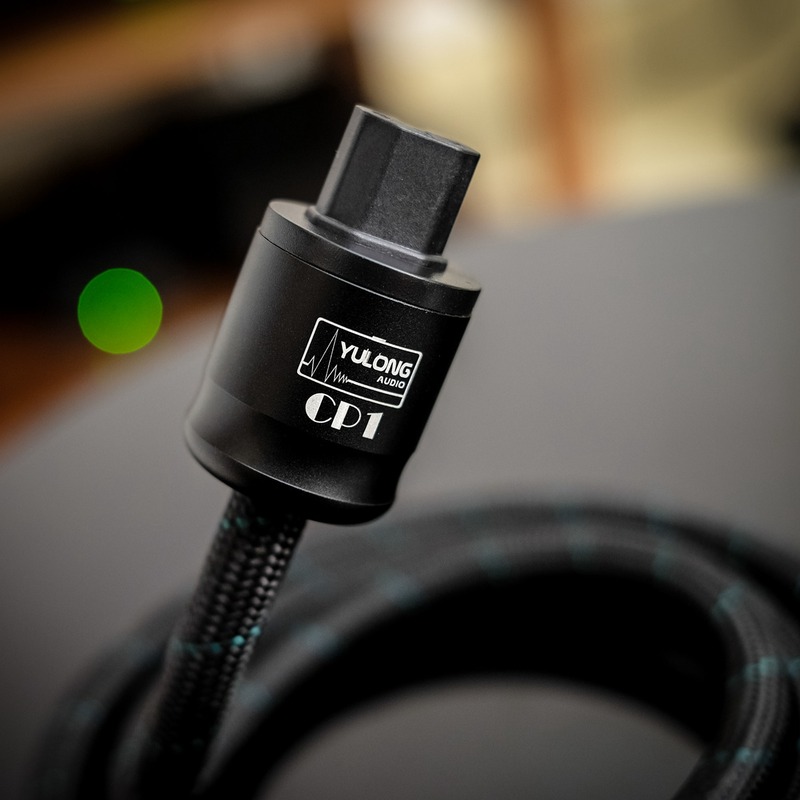 The CP1 utilizes 7x32x0.12 high purity oxygen-free copper as conductors, inmulti strands then inter-twisted wiring method. Cross section area is2.5 mm2. It has shield ofaluminum foil and high density braided oxygen free copper mesh. The housing ofpower plug is machined with aluminum alloy. 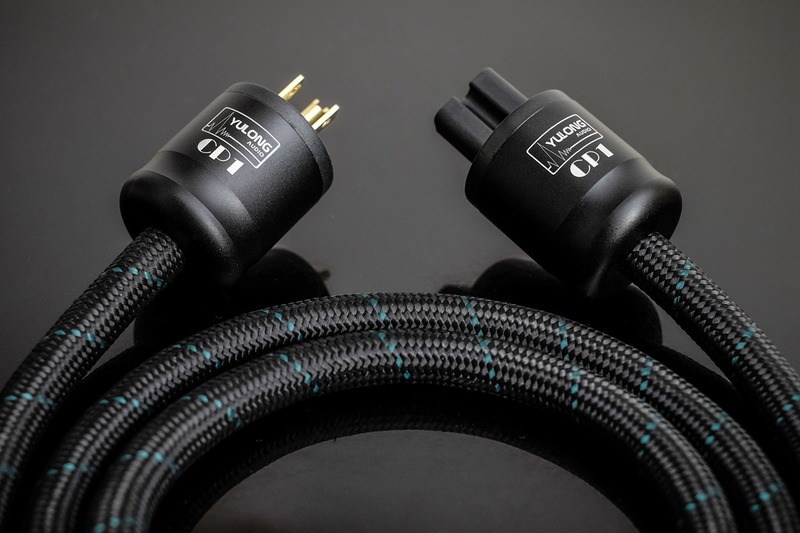 The whole cable is completely shielded,eliminating all noise interference from outside. 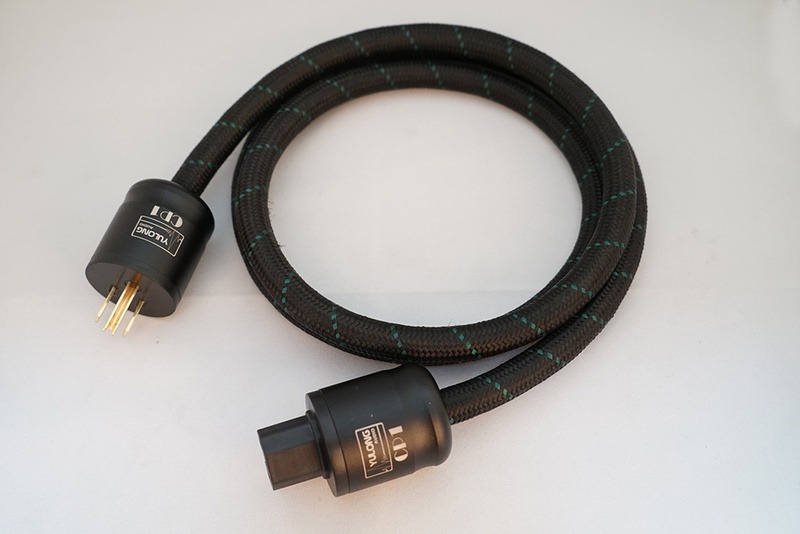 The plug pins are thicklygolden plated by special techniques, to ensure reliable contact and extremelylow internal resistance. 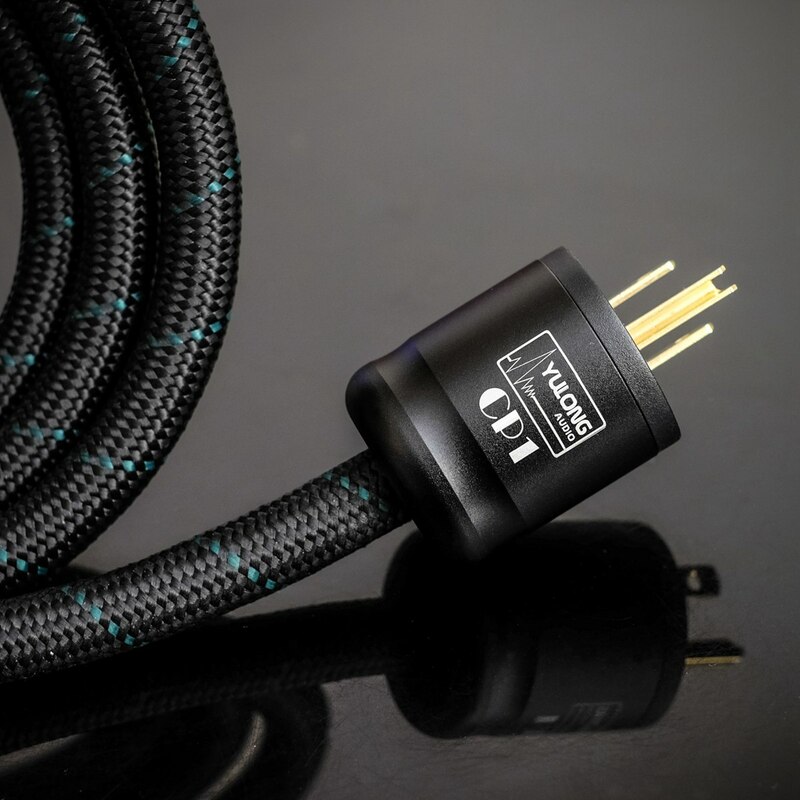 With cotton filling inside, PET outer jacket, exceptional high densitypolythene dielectric, sufficient suspension design, the CP1 providesoutstanding conductivity for power transmission, consequently the equipmentwill benefit from it for fidelity music reproduction.